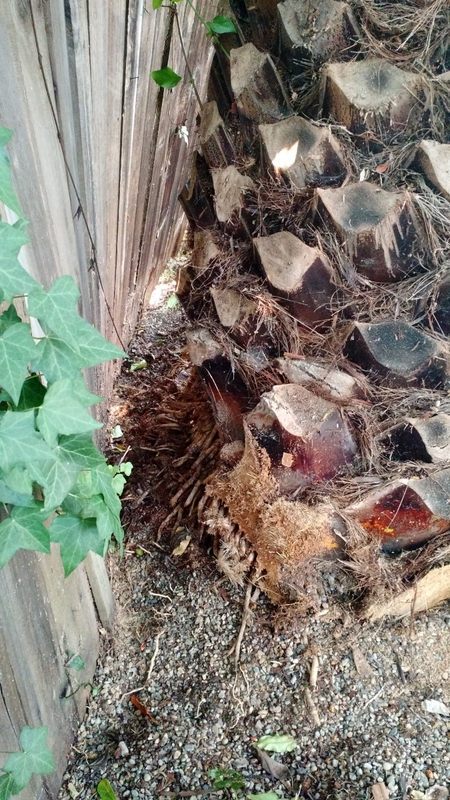 BACKGROUND: Our palm has grown, pushing out against the wood fence. 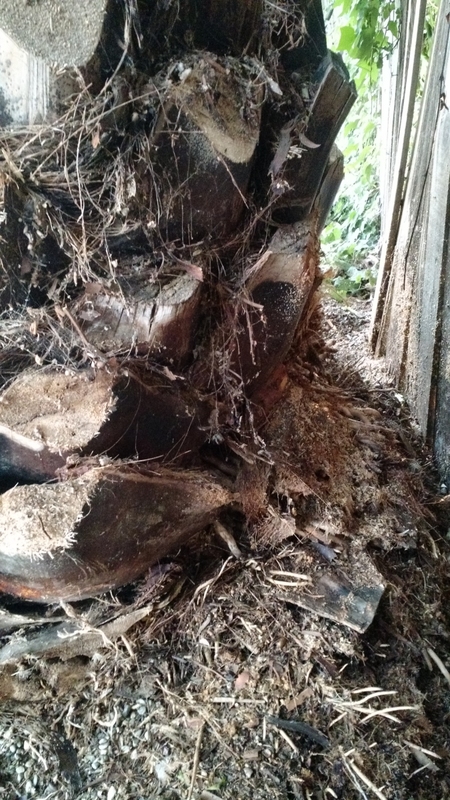 An arborist says it was too damp back there, causing the roots to emerge, which pushed the trimmed bark out. I was advised to trim the bark away. 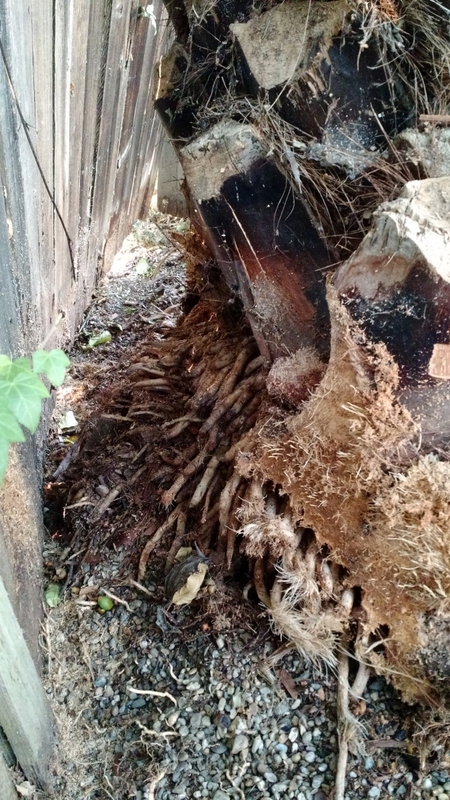 I trimmed big pieces of bark with my chain saw and found more exposed roots than I expected, from about a foot above ground level. QUESTIONS: SHOULD I LEAVE THE ROOTS EXPOSED? SHOULD THE ROOTS BE TRIMMED? 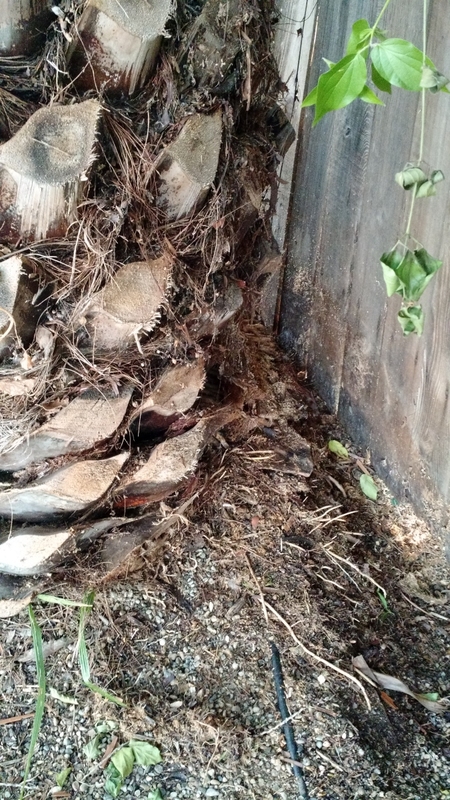 IF I COVER THE ROOTS WITH DIRT OR MULCH, HOW WILL I KEEP THE AREA DRY IN THE NARROW SPACE BETWEEN THE TREE AND THE FENCE? Here are four photos I took today 7/30/2018.